Opportunity Junction job training, career counseling, support to succeed in community college, job placement, evening classes. With 30 years of steady employment, Tracie never imagined that she would ever be unemployed. But she and her husband divorced, and she moved back to Antioch in 2010 with her three children. It was a rude awakening: without up-to-date computer skills, Tracie couldn't get an interview. At Opportunity Junction, "I got the computer skills I needed, but so much more," Tracie reports. She is now a Property Manager, with a full-time salary and benefits. "I am proudly able to support my three children, and I love the company I work for." 90% of job training graduates start employment within 6 months. Tracie's story is not unique. Last year, Opportunity Junction served more than 1,000 low-income residents. We offer job training, career counseling, support to succeed in community college, job placement, evening classes, and more. The first job after training isn't always "happily ever after." Tracie's first placement, in late 2012, was temporary. It ended after two months, right before Christmas. 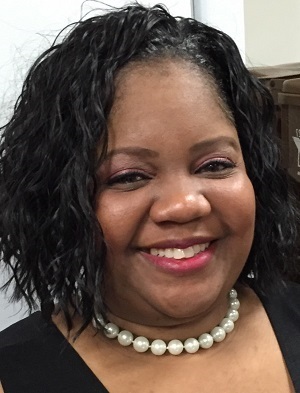 "I was grateful that Opportunity Junction was there for me," Tracie remembers. 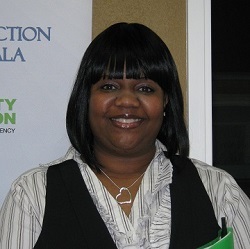 Opportunity Junction worked to find her temporary jobs until she was able to return to her chosen field of property management. Three years later, her salary has increased by 60%, and she is now eligible for an annual bonus, too. are still employed 18 months later. Employers are key partners at Opportunity Junction. "My job is to make sure the candidates we send are great fits for the position and the culture," explains Rich Berger, Director of Employer Engagement. "I know that when I call Opportunity Junction, I will get my choice of candidates who have the skills and work ethic I need," says Tracy Barberini of Belmont Hardware. Many of our employer partners hire through us more than once. 80% of our placements are multiple hires.